Every year RahQuel brings an enthusiastic group to the pristine off-the-grid raw nature of the OSA Peninsula in Costa Rica to journey with the Shamans. Guaria De Osa (Ocean Forest ), a gorgeous nature discovery center created by Jonathon Miller-Weisberger, becomes our home for a 12 day sacred experience of Gamma breathwork, waterwork, deep nutritional cleansing, meditation, relaxation, dance, divine nature, amazing friends and heartfelt connections, nature preservation participation, and plant medicine grandmother ceremonies and sunrise renewal cleanses. The medicine is cultivated on the land as gifted by the Secoya Elders who join us from the Ecuadorian Amazon to facilitate the ceremonial cleanses and journeys, according to the traditions they have been following since age six, almost eighty years ago for each of them. The ocean right in front of us, the vibrantly-colored macaws, vivacious monkeys and musical birds bring us healing as we restore with the fresh nature breeze and sink into hammocks for naps and hike through unbelievable forests and waterfalls. This is a profoundly powerful and deeply healing transformative experience which will bring each participant exactly what they need. 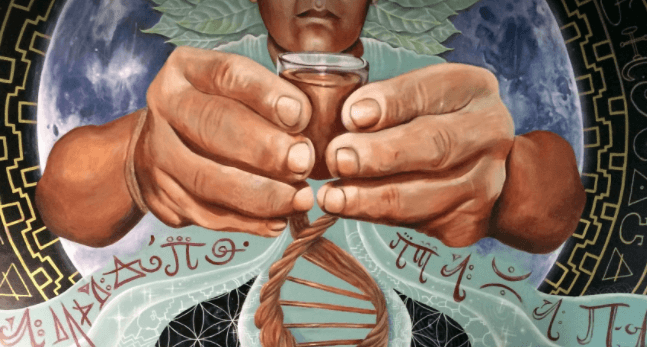 This shamanic immersion and medicinal healing will aid in profound realizations for lifting the veil off of systems of all kinds that no longer serve that can be released, evolved or upgraded. All ages are welcome and there is beautiful care for children on the premises. Access to Guaria De Osa is by local charter flight and boat, to get off the beaten path and away from all modern created societal systems. For details and an interview, please contact RahQuel directly. Have Any Questions? Contact Me Now!